iMOD is an easy to use Graphical User Interface + an accelerated Deltares-version of MODFLOW with fast, flexible and consistent sub-domain modelling techniques. 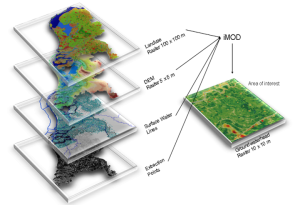 iMOD facilitates very large, high resolution MODFLOW groundwater modelling and also geo-editing of the subsurface. For detailed info about “Why iMOD”, please click here, and/or visit the iMOD open source community website.